This episode held nothing back, unlike the previous instalment episode 3 hit hard from the beginning. In-fighting in the group almost came to blows between Rick and Abraham which was a tense scene to say the least. The cannibal storyline reached its finale, to be replaced by the ongoing story arc involving the occupied hospital where Beth is being held, we also saw the death of a member of the group in a very emotional and intimate scene. 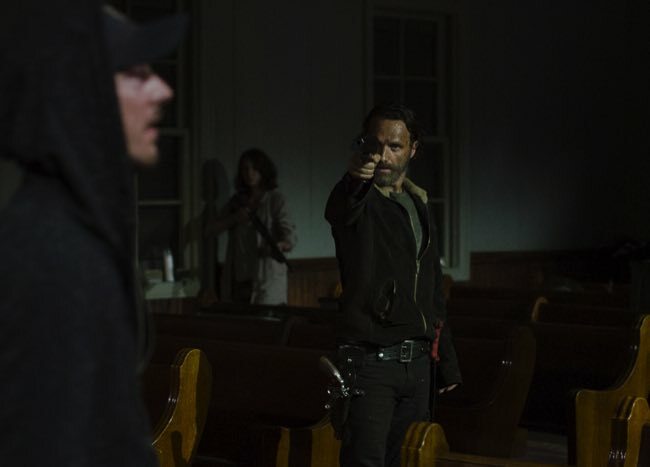 There were a number of tense moments between Rick and Abraham, this is what happens when two tough, alpha male types are both trying to lead and clash on what action to take. 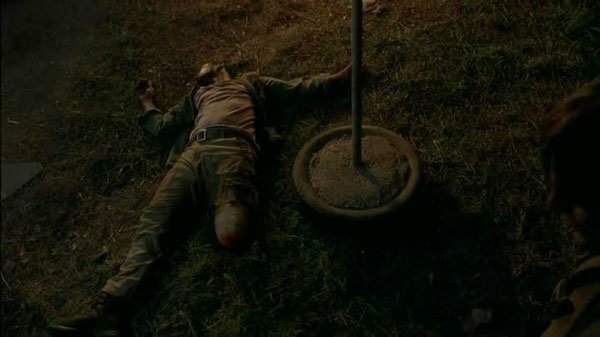 The big moment of the feud came when Rick and Abraham decided to both take the action they had planned, Rick staying at the church to wait for Daryl and Carol to return and Abraham, Rosita, Eugene continuing the journey to Washington. 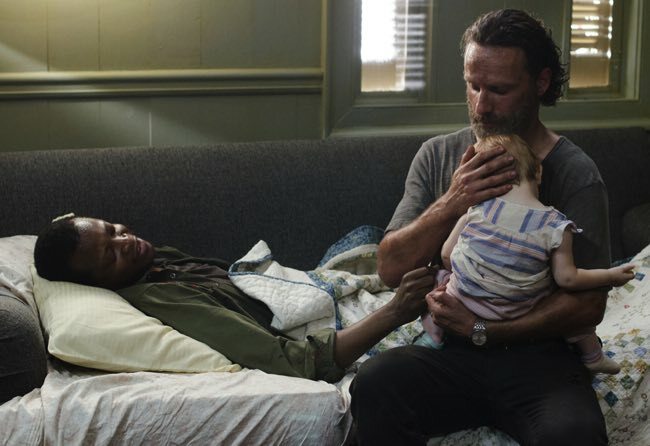 However, the two leaders almost got into it when Abraham mentioned taking the bus, Rick not wanting to relinquish the vehicle due to how crucial it could be to the group making progress told Abraham he couldn’t have it. Abraham of course responded with “just try and stop me”, the following moment in which Rick paced towards Abraham before being held back by the rest of the group was intense and exciting. Seth Gilliam proved his worth in this episode, displaying his talent as an actor. His scene in which the priest monologues about the things he has done was acted with raw emotion in Father Gabriel’s delivery and expressions. 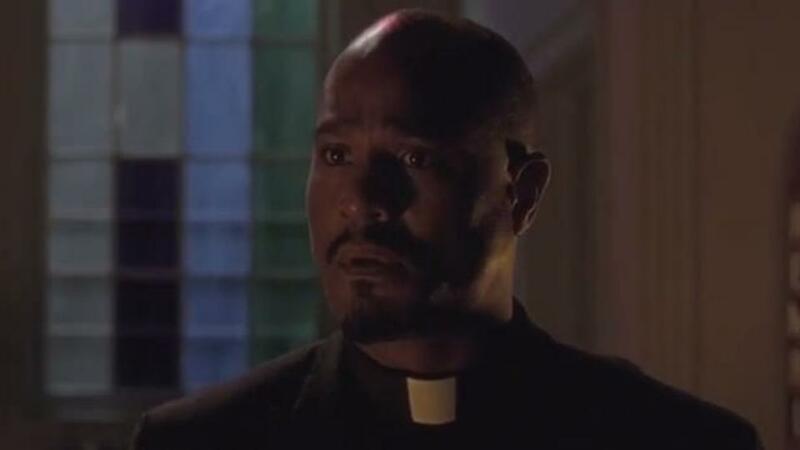 After the feeling and emotion in that scene I am completely on board with Father Gabriel Stokes remaining on the show for the long haul. It would be foolish to believe he is safe however, even after the amount of character development he has got in the past few episodes. We have learnt with Bob that even if a character gets introduced and gets a big push to become a key member of the group they can be killed off a matter of weeks later. Indeed we saw the end of a character that has been compelling since the second half of last season in which he got a real on-screen push. His appearance in the first half of season 4 was interesting as his inner conflict with his drink problem made for some good drama but it was only in second half of that season that he really came into his own. Bob was insightful and inward looking, however at the same time he wasn’t overly introverted. He was a character that was really worth the screen time he got, bringing a thoughtful and unique look to the apocalypse, Bob was a character that was enjoyable to listen to in the slower paced moments of The Walking Dead. This episode had some hard hitting and truly visceral violence, they went all out on this one. Throughout The Walking Dead, both comic and TV series has aimed to show that in the apocalypse the zombies aren’t the only monsters. Desperation makes animals of us all, it often poses the question: What would you do to survive and protect your loved ones in a scenario of mortal danger. In the past few episodes this topic has been pushed significantly. I believe it was last episode that Bob asked Rick; what happens when all this is over? Rick has killed people, what place does Rick have in society if the dead one day stop roaming the Earth? Bob advised Rick not to lose his humanity in all of this as one day he may be incapable of living a normal life, there are some things you cannot come back from. It was on his death bed that Bob told Sasha that nightmares end, you can’t let them end you. When you consider these excellent points made by the late and great Bob, you have to question what implications the events of this episode have for the group’s humanity, given the shocking scenes of violence that occurred. It is interesting to see that now that the cannibal storyline has ended (or has it?) this is being replaced by the mystery of the abductor in the hearse. At the end of season 4 a mystery figure bundled Beth into the back of a black hearse with a white cross on the rear window, speeding away into the night. This vehicle appeared once again in episode 2 of this season before Daryl and Carol quickly gave chase in their own car. They were absent for a while before Daryl’s reappearance from the woods at the end of this episode without Carol or Beth. Daryl looked odd, possibly conflicted, he didn’t say a lot. What he did do however was look over his shoulder and to someone behind him in the trees said “come on out”. This is very exciting, this could be the return of a character from the past or the first appearance of a character from the comics, no doubt it has something to do with the community residing in the abandoned hospital that Beth is being held in. Next episode looks very interesting indeed, we will finally get to understand the dynamic within the hospital that seems to be under the rule of a police officer. We will also learn why Carol and Beth aren’t with Daryl in the final scene of this episode and exactly who Daryl has returned to camp with. 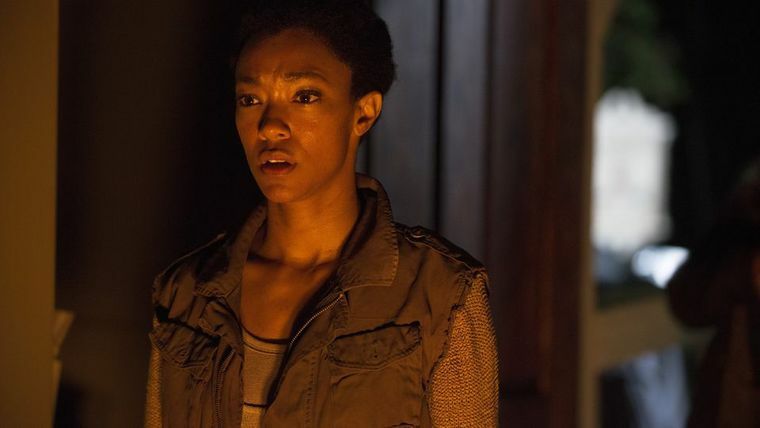 Whoever the individual is that is with Daryl they are reluctant to be seen by members of the group at the moment, could it be someone the group may react negatively to initially needing an explanation from Daryl first? I read your review and it was very well written by the way. I agree that the reveal was a little disappointing, I have read Gabriel’s first appearance in the comic and I remeber being quite compelled by the reveal in that issue. It was a very emotional scene, however I agree that it came across a little anti climactic in the show. I think this was because the reveal was built up so much, it appeared to be some huge deal. I think it is also because there have been so many villains that seem to be good at first such as the Governor. However I do disagree that he isn’t an interesting character I think though the reveal was built up too much it was one that made the character deeper. P.S thanks for the comments about the blog.